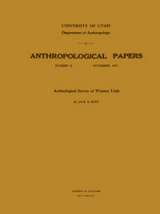 Includes papers on Prehistoric Exchange in Utah (1); The Ancient Mexican Writing System (2); The Gosiute Indians (3); A Brief Description of an Indian Ruin Near Shonesburg, Utah (4); The Archeology of the Deep Creek Region, Utah (5); An Indian Burial, A Barbed Bon Projectile Point, and Accompanying Artifacts from Bear Lake, Idaho (6); Archeology of Black Rock 3 Cave, Utah (7); Archeology in the San Juan (8); and An Archeological Reconnaissance in Washington County, Utah (9). Deadman Cave was excavated between 1938 and 1941. This is the report of those excavations on this site located on the southern shore of the Great Salt Lake, Utah. 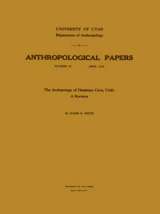 This publication was derived from the proceedings of the Sixth Plains Archeological Conference held in 1948 at Lincoln, Nebraska. 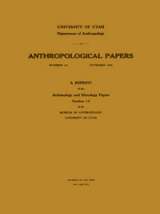 Papers focused on the problems of early man and the geological, paleontological, and climatological factors. 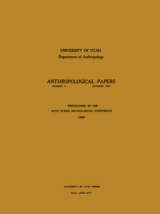 The report of material culture and results from the surveys and test excavations completed during 1949-1951 in western Utah by the Statewide Archeological Survey program. 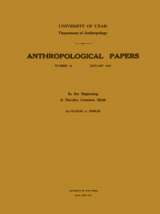 The Navaho creation myth as recorded in 1950 near Tuba City, Arizona by Stanley Fisher. His informant was Frank Goldtooth. A report on the findings and interpretation of an archaeological survey completed in the La Sal Mountain area near the town of Moab, Utah. This work was completed in 1949-1952 and summarizes about 350 recorded sites, many at high elevations.